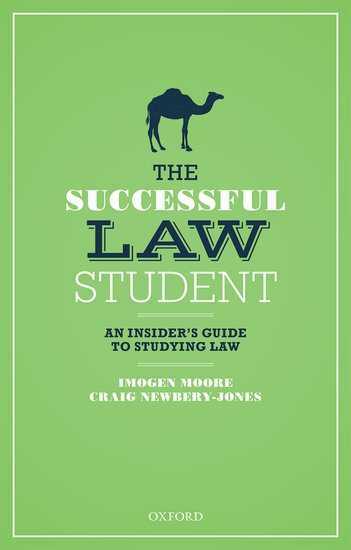 ‘The Successful Law Student: An Insider’s Guide to Studying Law’ (Oxford, 2018), co-authored with Craig Newbery-Jones of the University of Leeds, was written with the aim of supporting and guiding law students through transition, the law degree, and beyond. One of the particular features of the book is the incorporation of authentic student comments to support, challenge and enrich the text. It is the value and significance of this student voice that I intend to focus on in this blog post. 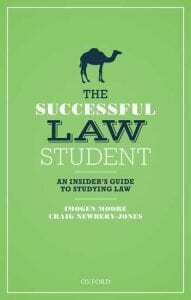 As the slightly quirky design might indicate, ‘The Successful Law Student’ is neither a substantive law textbook nor a conventional legal skills compendium. Our goal was to create a ‘supportive friend’ to assist a law student through the challenges they might face, recognising that every student’s experience will be unique. The book is therefore aimed at any and all aspiring and current law students rather than directed toward any particular ‘type’ of law student, law degree, institution or career aspiration. And at its core is a definition of success rooted in the individual and not dependent on external validation. A key element of our initial proposal was the inclusion of the authentic and reflective voice of our students, providing their take on aspects of the law student experience: a feature we dubbed ‘I wish I’d known’. This reflects the book’s origins in myriad conversations with prospective, current and former students over many years in different institutions, as well as our own interests, aims, experiences, and occasional frustrations. Our publisher, OUP, supported this by enabling us to communicate with a large number of students beyond our own institutions, ensuring the student voice incorporated within each chapter of ‘The Successful Law Student’ truly reflects the diverse law student community. We were pleased – but perhaps a little surprised – at just how popular this feature proved to be with reviewers of early drafts. It appeared that using student voice in this way was really valued. Why might this be? A significant element seems to be relatability. One anonymous student reviewer commented that their own experience had been similar to many of those mentioned and they enjoyed the ‘snippet into student life’. Another indicated they were more likely to listen to advice from a fellow student than advice from a lecturer. This supports observations within the context of peer-assisted learning: students often found it easier to relate to a peer than an authority figure (Zacharopoulou et al, 2013, 202). The relatability of the messenger has particular significance in transition. Pre-transfer students may have difficulty envisaging university life and accurately predicting their student experience, which can cause difficulties in adapting to higher education (Briggs et al, 2012, 5). The ability to picture ‘someone like me’ (Briggs et al, 14) in the voices of these real students may therefore have particular value in that context. Should we be concerned if this means readers are more inclined to follow student rather than ‘expert’ advice? But that would suppose that the student voice represents a non-expert, in contrast to an expert, experienced, lecturer. In truth, in this context the student is an expert: expert in the modern student experience; expert in understanding the concerns and confusions of a new law student. A lecturer will inevitably be (at least) one step removed from the student experience, and probably perceived to be a great deal further away than that. Student voice thus provides expertise in areas a lecturer is less equipped to comment upon, as well as providing reassurance that the authors’ guidance is rooted in ‘real’ and current experience. But could our student voices be criticised as doing no more than stating the obvious? That of course begs the question: obvious to whom? We must be careful not to conflate what is obvious to us, now, with what is obvious to a prospective or new student. Such an approach risks confusion on the part of the student, frustration on the part of the lecturer, and failure to provide the guidance needed for successful transition and beyond. Former Law Teacher of the Year, Nick Clapham recognises that what may be “obvious to those of us indoctrinated into university life … is information that is very difficult for someone on the outside of the institution to obtain without inside assistance”, particularly “those coming from backgrounds without a tradition of university attendance” (Clapham, 2018, 373). And even those of us directly engaged in transition may not fully recognise what our students need to know. We may discount the ‘obvious’, and our own experiences might be misremembered or reflect a different era. The student voice thus helps to identify ‘unknown unknowns’ – things we might assume are obvious but that real students genuinely wish they’d known – as well as providing relatable and therefore accessible guidance and reassurance on the ‘known unknowns’. Our experience indicates that engaging with and harnessing the authentic student voice is a potentially very valuable tool in supporting students through transition and beyond. Perhaps with hindsight it is less of a surprise that our initial idea of incorporating student voice has played such an important part in ‘The Successful Law Student’.